Have you been looking to move to the Footscray area but have been unable to find the perfect property for your needs? Perhaps you have two children who insist on sharing, which means that you need a bedroom that is large enough to achieve this. Perhaps you have an extensive film collection and you need a home theatre in which to show them in comfort. Whatever the reason, Evenwedge Homes can provide you with a custom builder. When it comes to finding the new home of your dreams we understand that this can be easier said than done, which is why Evenwedge Homes is committed to providing our clients with luxury builders that meet even the highest of standards. Whether your Footscray property is destined to be a tiny townhouse or a sprawling mansion, our team will treat it as if it were a castle; there is no project too big or too small for us. Our luxury builders are also committed to consulting with you on every decision that is made for your Footscray property. We have found that other companies are more concerned with getting the project finished as quickly as possible than they are with getting it finished right, which is why we aim to keep you in the loop at all times. Our custom builders will walk you through each step of the process and will communicate with you at all times. Evenwedge Homes also takes pride in the fact that our luxury builders are also able to offer our clients new home and land packages; this is the perfect solution for families who believe that they don’t have the time to search for an ideal block of land or who believe that it simply doesn’t exist. We will do all of the legwork for you, investigating the Footscray area thoroughly, before presenting you with our findings and helping you to make a choice. 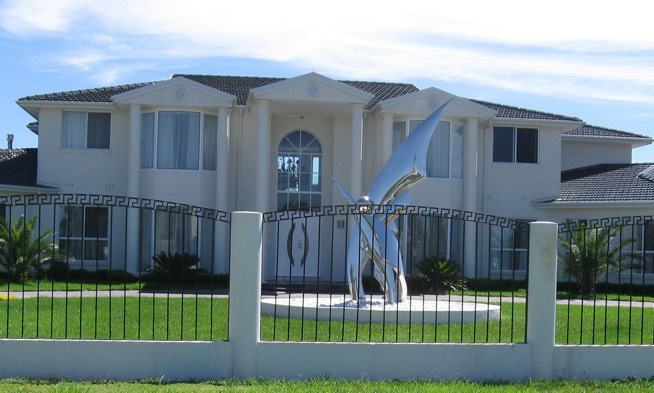 If you are interested in moving to Footscray but aren’t sure what to do about finding a new home, you should contact Evenwedge Homes today. Our team of fully qualified and professional custom builders is more than capable of being able to provide you with the home of your dreams, from a townhouse or a unit to a standard house or a mansion. Please give us a call to learn more or to arrange a meeting to discuss your project further.